As you may have read on previous posts or guessed from our tweets about the Kirklees Business Conference – SMileS (part of ME Consultancy Ltd) are proud sponsors and exhibitors of the conference. Many people and fellow businesses know that every Friday we have #Cake Friday and is a long running tradition in our office. It is where Sara makes home made cakes for the office from our own eggs on site. Not only does our team look forward to #Cake Friday (we couldn’t think of a better way to finish a busy working week) but it has also proved very popular with our customers. Whenever we have meetings we always find people are asking to come in on a Friday as they’ve heard all about Cake Friday. It has also been a big seller when meeting with potential new customers as it makes them feel more welcome all of which helps establish a good working relationship. 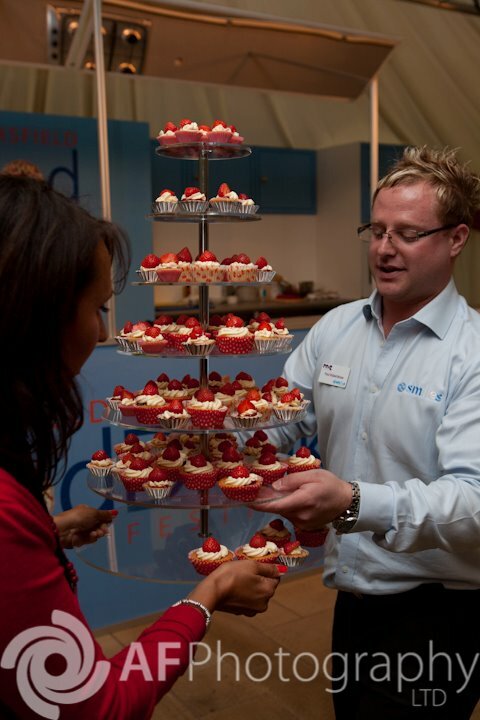 We also take our #Cake Friday theme along to many events we attend as its a great way for people to recognise us as we tweet about it on the run up to the event and it encourages more people to visit our stand. Here at SMileS we strive to be a welcoming and innovative business so we are always thinking of new ideas of how we can find new prospects and convert them into long-term mutually beneficial relationships. One idea we came up with is Cake Friday; we try to hold meetings and networking on this day and our team member ‘Sara’ makes a different cake every week. Cake Friday allows us to reflect our company ethos which is all about keeping people happy whilst providing excellent service.Cake Friday helps us to create a welcoming and friendly business atmosphere. It’s a key factor in helping us to establish good friendly relationships with the people we work with to allow for good communication. Cake Friday has proved very successful mainly due to us promoting it via social networking sites which has helps to encourage more meetings and networking on cake Fridays and has created a buzz around our company. Here are some of our pictures from Cake Friday; you can find more on our Twitter ‘smilessms’& Facebook page ‘Me Consultancy Ltd’.